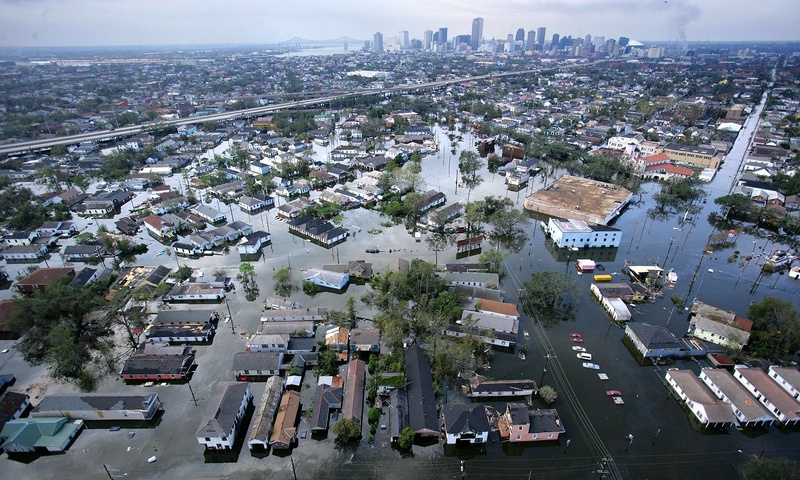 Almost 10 years ago, the world watched as the waters of the Gulf of Mexico—urged on by the pummeling winds of Hurricane Katrina—swallowed the city of New Orleans, and wreaked havoc all up and down the coast. On Aug. 27, President Obama will travel to the Crescent City to commemorate the 10-year anniversary of this costliest and one of the deadliest natural disasters to hit the United States and to highlight the city’s efforts to rebuild. The president will be joined by Federal Emergency Management Agency Administrator Craig Fugate in meeting with Mayor Mitch Landrieu and residents of affected neighborhoods. Fugate and other FEMA officials will also attend commemoration events in Louisiana, Mississippi and Texas in the days leading up to the anniversary. Officials from several other agencies, including the Department of Housing and Urban Development, the U.S. Department of Education, the Small Business Administration and NOAA (National Oceanic and Atmospheric Administration) will also tour the region as part of the observance. Hurricane Katrina crashed into the Gulf Coast on Aug. 29, 2005. The punishing winds destroyed trees, buildings and other property, but most of the damage—especially in New Orleans, where its levees failed—came from the resulting floods. The disaster caused more than $100 billion in damage and took about 2,000 lives. This year, the president is expected to discuss his administration’s as well as state and local efforts to rebuild in the region. And, according to Time magazine, he may likely also note potential links between super storms like Katrina and climate change—a key focus area of the Obama White House.